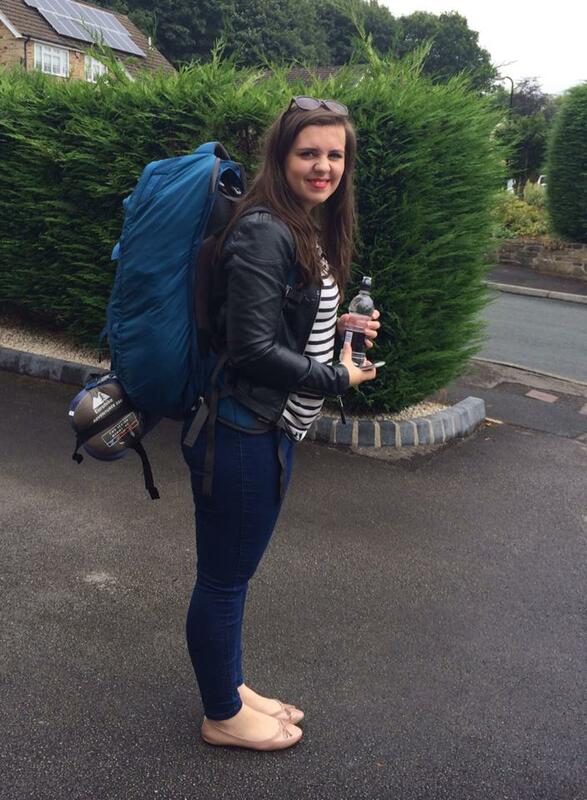 Deciding to go travelling alone for the first time was not a particularly easy decision. I was half way through university, fresh out of a break up and feeling a little lost. I think my mum was the first one to suggest it, and initially I laughed off the idea. "Me? Travel on my own? I've barely got the life skills to bake a lasagne." I scoffed. But the seed had been planted. After a few weeks of umming and ahing, I settled on a Topdeck/Contiki tour as they are the perfect balance to travelling alone, without being completely alone. I hadn't heard much about Contiki or Topdeck by this point and found the concept of travelling on a bus with the same people for an elongated amount of time pretty daunting, if not a little exciting. I knew I wanted to keep the trip relatively cheap so I didn't become bankrupt before I'd even graduated university and I wanted to sail the Greek Islands. Other than that I wasn't too fussy so I did a little digging through the website, looking at each trip, the length and each and every stop. 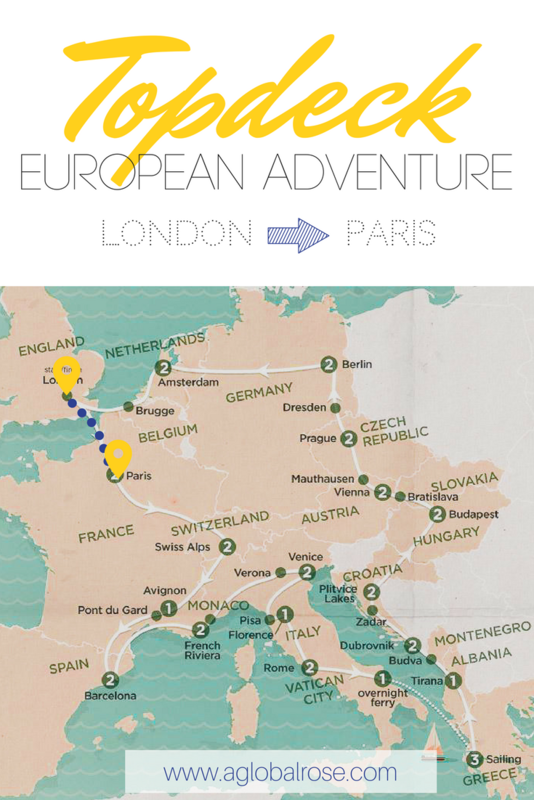 After that deliberation period, I settled on Topdeck's European adventure. 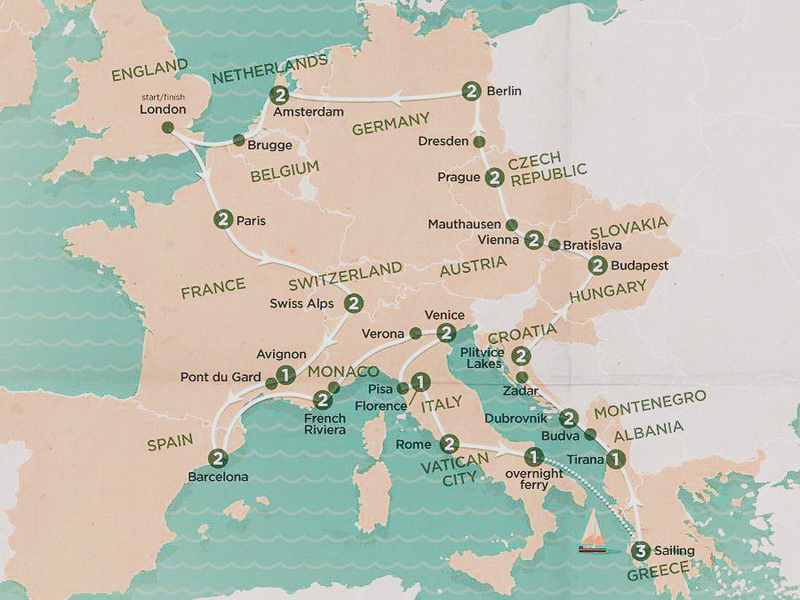 European Adventure is a 34 days long camping trip, you visit 15 countries including but not limited to France, Switzerland, Germany, Spain, Italy, Albania, Montenegro and many more. I can only spot one change that has been made since my trip, instead of stopping in Vienna, Austria the trip now stops in Krakow, Poland. Cheap? Yep, as it's a camping tour, it meant I had more money left over to fund my adventures in each city. Sailing Greek Islands? Four whole days worth. Just like that, my trip was booked. During the next month I spent my time trawling through Topdeck forums, hunting for anyone who might be on my trip and helplessly googling 'what to pack on solo Europe camping trip?' day after day. While I did find a few other people I was due to be travelling with, I didn't find too many helpful articles. So, I'm going to write my own 'how to survive a Topdeck/Contiki manual', including what I found most useful to pack, little tips and tricks I've picked up on my multiple trips and how to make the most out of your time. When that's up I'll be sure to let you know on my Insta, and Facebook. I've decided that I just have far too much to say about each place to cut my review down to one post, so I'm going to allocate a post to every one or two stops. Each post will feature my favourite things to do and recommendations for each city, plus which of Topdecks added extras I'd recommend for each stop. I can only apologise for the pictures I'll include in these posts, I didn't take all that many myself due to breaking all my technology. (No really... I broke my phone, my camera, my kindle and my iPod...) So most of the photos are borrowed from friends and some of them were taken while we were a little (a lot) worse for wear (drunk). Plus, I went on this trip before Instagram became the mighty force it is now, which means no 'candid' shots in front of picturesque buildings and stunning sunsets I'm afraid. Me ready to go but looking rather unimpressed. My trip began at the train station in my tiny village, loaded up with my backpack, rucksack and a whole bundle of nerves. This was the first time I'd done any solo travel, and I remember thinking that I'd made a mistake in booking the trip. My nerves changed to frustration when I learnt quite how challenging a train ride is with a backpack the size of a small country. I spent the entire three hour train journey smushed into the sticky seat, one eye on the my backpack on the shelf by the doors, the other watching the hills of Yorkshire gradually fade into the high rise buildings of London. Once I arrived, I headed straight to Clink 78, the hostel I was due to begin my tour at the following morning, to drop off my backpack. Admittedly not all that promising that I was already fed up with my backpack and I hadn't even started my trip yet... this 'backpacker' thing was looking harder than anticipated. As I mentioned previously, I spent the month searching through endless Topdeck Forums searching for anyone else who might be on my trip. I was lucky enough to find two girls from Perth in Western Australia that would be on the trip too, little did I know at the time, that just over a year later I'd move across the world to live with them. Jess, Imi and I, two years later! We arranged to meet at Kings Cross at 2pm, and I was so nervous that even though I had spotted Jess and Imi across the station, I pretended I hadn't. Instead I messaged the classic, 'I'm here, where abouts are you?' text and continued looking round with my very best 'searching through a crowd' look on my face. Once they spotted me and came over, my nerves began to settle. I'd hit the jackpot and found to girls I could completely relate to and that managed to match my weirdness, which is no mean feat. We head off in search of a pub to sit down and get to know each other in. We opted for a quintessentially British pub named after one of the royals (can't for the life of me remember which Royal, though) and settled down with jugs of Pimms and a whole lot of questions to ask each other. Our afternoon melted away into choruses of 'me too's and 'I agree's. As it got a little later we decided it would be wise to head back to our hostel and have a look around the bar on the lower floor in search of any other potential trip passengers. While we didn't find anyone else on our trip, we did find the drinks menu and some rather cheap, sordid sounding shots. While Clink 78 is a fabulous hostel: it is cheap, clean and filled with likeminded travellers, the bar and lounge area was heaving with loud strangers, making it difficult for us to continue our conversations, so we decided to call it a night. Back in my hostel room, I nestled into my bed, which was what can only be described as a human-sized cubby hole, for the night and attempted to settle the excitement/nerves cocktail in my stomach long enough to drift off to sleep. Once I'd shut off my alarm, said my apologies and repacked my case, it was time to head down to reception to meet the rest of the group and fill in the necessary forms. With admin complete it was time to hop on the coach and head to our destination. Excited chatter and inquisitive conversation soon replaced the nervous silence that originally swamped the coach. To quickly break it down for anyone who hasn't been on a Topdeck/Contiki trip, a trip song is allocated to you at the beginning of most trips. For us, the song signified the fact that we were nearly at our destination, a petrol station or somewhere we could stop to use the toilet. Our trip song was 'Waves - Mr.Probz,' the slow version. To this day, four years later, I still cannot hear that song without immediately needing to go to the toilet. 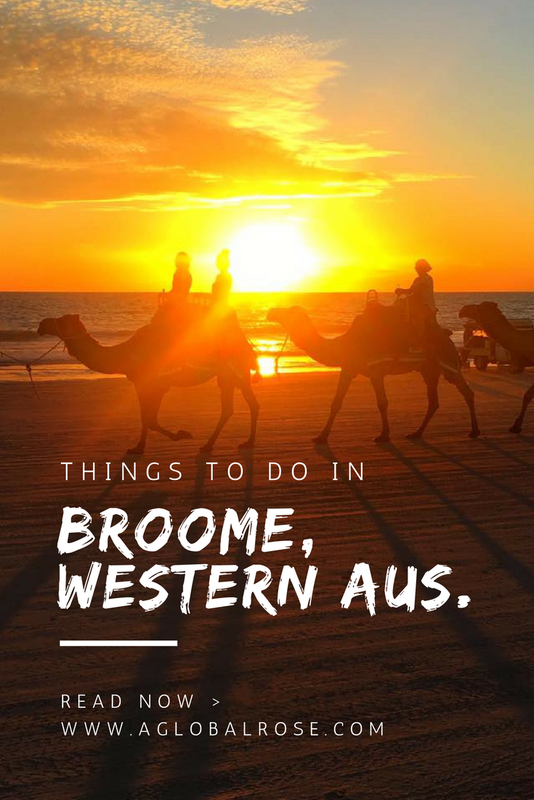 A Whirlwind Trip: Broome, Western Australia. Visiting Broome, is like being granted passage into a beautiful painting. From the moment the wheels of the plane touched down on that red dusty runway, to the moment they lifted off it, we were immersed in stunning colour. June 2016, my good friend Jess (@jfussphotography) and I ventured up to Northern WA. We spent a couple of days in Broome as a belated birthday celebration for Jess' 21st. Our aim for the trip was to spend some time in the sun, as June is slap bang in the middle of Australia's winter. I also took my new GoPro Hero Session up with us, in hope of a bit of holiday footage. I made a short video of our trip, which you can find on my personal Instagram, here, if you're interested. All in all, we just hoped for a chilled out trip on some nice beaches, some good food and a break from the city. Our apartment was perfect. Quaint, comfy and the perfect distance away from the local brewery (right next door). We were right by the pool, we had a view of the sea and we were surrounded by palm trees. My favourite part about the Moonlight Bay Suites has to be the book shelf in reception. You can take your old books in, and swap them out for any books on the shelf. I couldn't tell you how many books we read on that trip, I lost count after the third crime novel. We spent our evenings on the beach, watching as the sun set behind the camels, expecting a sizzle as it hit the milky water. We took photos, drank jugs worth of mango beer, read multiple books each and caught up on everything that had been happening since we'd last had a chance to chat. Photos in front of bougainvilleas, suspiciously deserted mangroves and packed beaches. Picnics of chips, dip and soup. As you can see, we (read: Jess) came away with some pretty stunning pictures, and a relaxed mindset. Ready to take on the hustle and bustle of the city again. 1. I recommend you stay at The Moonlight Bay Suites, purely for its proximity to both the ocean and to Matso's pub. Plus, the staff are lovely and extremely helpful. 2. Experience breakfast, lunch, dinner and drinks at Matso's Brewery. Their menu is extensive and impressive, plus if you haven't already tried their mango beer, you haven't lived. 3. 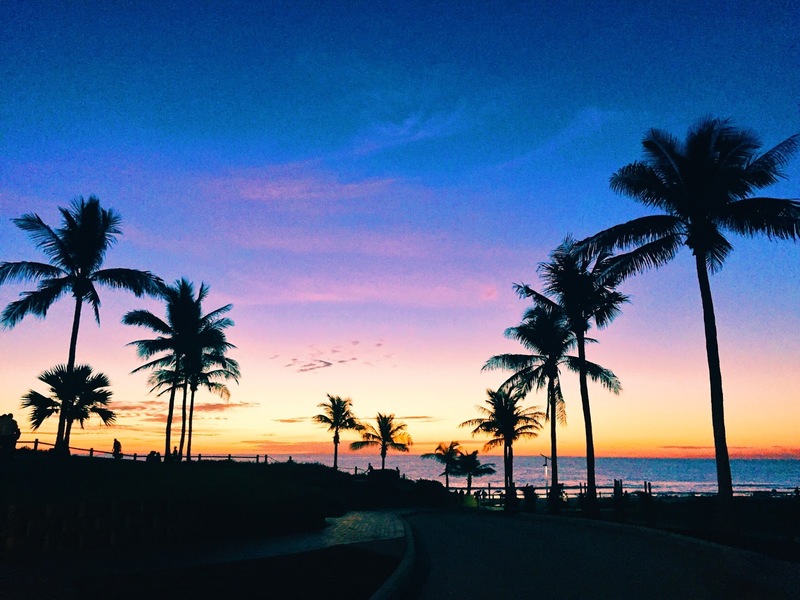 Cable beach, impressive during the day and even more impressive at night. Watching the nightly traffic of camels cross the sand in front of the setting sun is not a sight I'll forget in a hurry. 4. After a long day or sunbathing at Cable beach, or pre-camel ride... head to Zanders' for a cocktail or two and the biggest portion of chips I've ever witnessed. 5. Broome's Courthouse Markets are worth a visit if you manage to avoid spending all your money on beer. All in all, it really was a lovely trip and a welcome breath of fresh air. Whilst I was in Broome, I found a lot of inspiration to take photos, read and write. I think its important to have soul-cleansing trips like this every once in a while. Both for the clarity... and the mango beer. 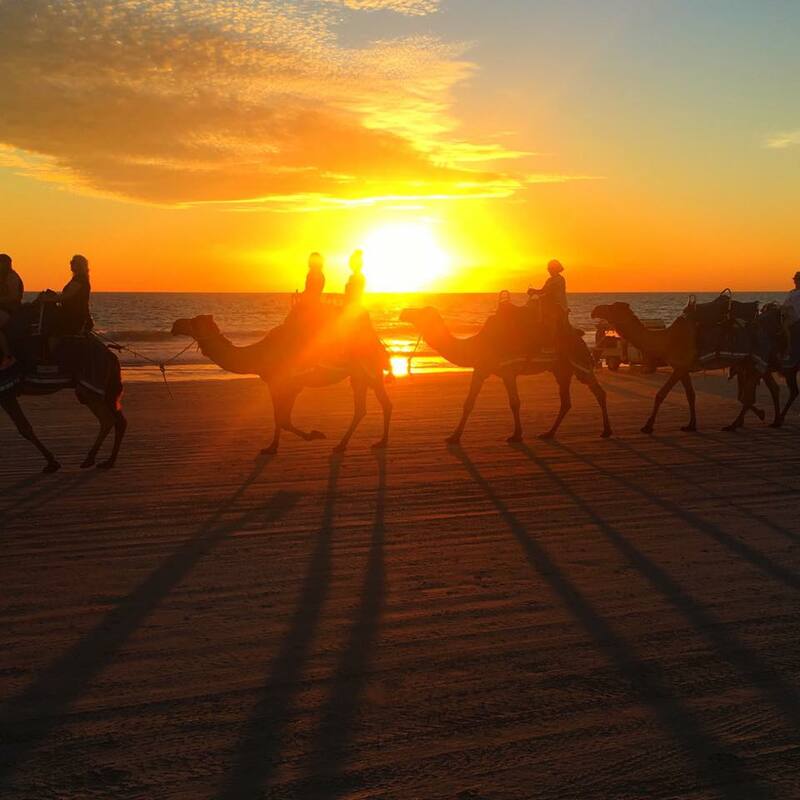 I hope to return to Broome in the next year or so, Matso's Brewery is calling my name and I'd really like to ride one of those Cable Beach camels. 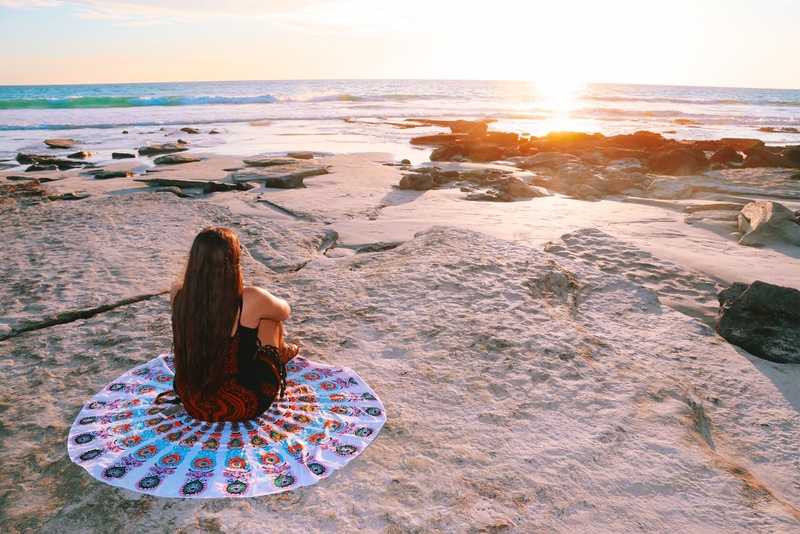 Caitlin-Rose | 23 | Living in Perth, WA.